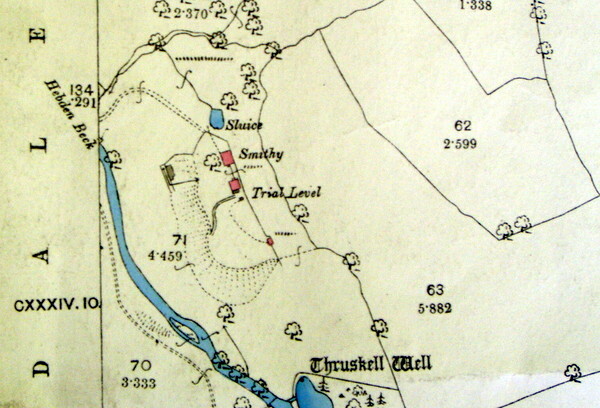 This is an extract of the 1890 25 inch Ordnance Survey map - published two years after the mine closed. The colouring was already on the original used. 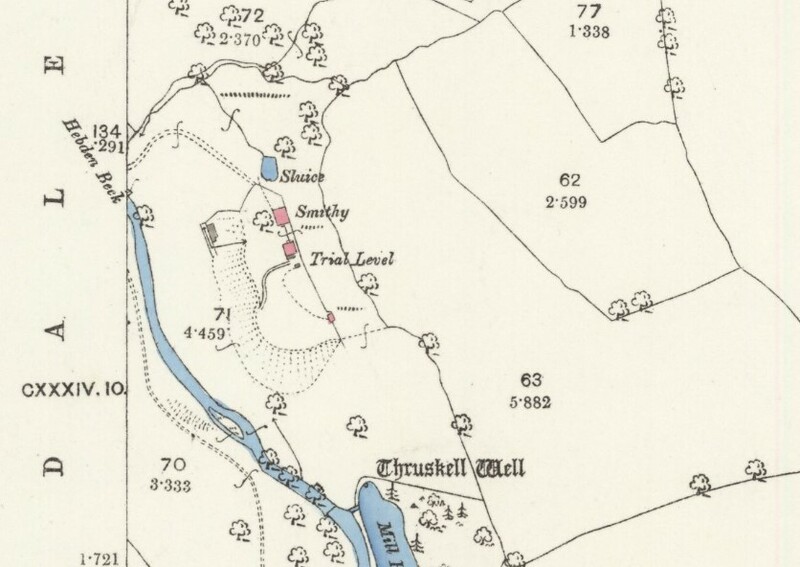 Points to note are the leat feeding the storage pond with a sluice marked; the spoil heap (Smithy Hill) with the smithy and mine building (the other red building marked was probably a powder house); the wheel pit with the flume feeding water from the mine, and the tailrace. The large pond at the bottom fed by Thruskill Well was a storage pond for the textile mill a couple of hundred metres down valley. Click the map for a larger image.